What is a Utility Token? 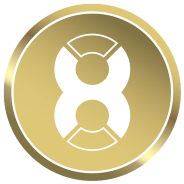 Is X8X really a Utility Token? Where are the arguments? A central banker from Prague touched on how central banks perceive, or as he explains it, how they should see the Bitcoin phenomenon. How X8 team managed to convince financial institutions and professional investors to put their money into the crypto world. The quest to find a safe haven for everyone’s assets. From childhood dreams to start up in the crypto world. The personal story of the CEO and co-founder of X8 Gregor Koželj.